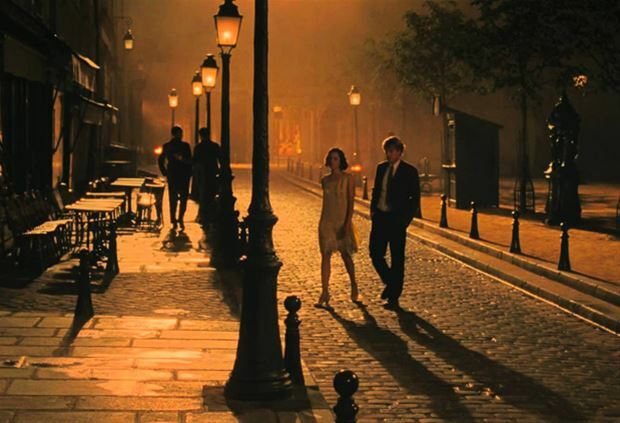 1) MIDNIGHT IN PARIS (2011, Paris, France). Directed by Woody Allen, with Owen Wilson, Rachel McAdams, Kathy Bates, Adrien Brody, Carla Bruni, Marion Cotillard. Features a great deal of spots in Paris and recreates parts of its vintage past. The French travel guides and apps suggest organized tours for the visitors who are interested to follow the director’s footsteps. 2) NOTTING HILL (1999, London, UK). Directed by Roger Michell, with Hugh Grant, Julia Roberts, Rhys Ifans, Emma Chambers, Tim McInnerny, Gina McKee, Hugh Bonneville. The heart of the film is Notting Hill’s Portobello Road street market, in the top ten of London’s tourist attractions. The film upgraded Central London from a travel destination to a must-see tour, starting from the famous “Blue Door” of the book-keepers’ house. 3) MAMA MIA (2008, Skopelos island, Greece). Directed by Phyllida Lloyd, with Meryl Streep, Colin Firth, Pierce Brosnan, Amanda Seyfried, Christine Baranski, Stellan Skarsgård, Julie Walters. The ABBA songs, the famous stars and the Greek Summer were combined to create a dreamy destination for romantic holidays and weddings. Mamma Mia was filmed in Greece in Skopelos , Skiathos and Damouhri Pelion of Thessaly Region. 4) LA VITA E BELLA (LIFE IS BEAUTIFUL, 1997, Tuscany, Italy). Directed by Roberto Benigni , with Roberto Benigni, Nicoletta Braschi, Giorgio Cantarini, Giustino Durano, Sergio Bini Bustric, Marisa Paredes. The film is a hymn to love and life and the location is the medieval city Arezzo, southeast of Florence in Tuscany. The everlasting beauty of the city and the stunning natural landscape matched perfectly with Benigni’s masterpiece. 5) A GOOD YEAR (2006, Provence, France). Directed by Ridley Scott, with Russell Crowe, Marion Cotillard, Didier Bourdon, Abbie Cornish, Tom Hollander, Freddie Highmore, Albert Finney. The movie heroes fell in love with each other but the audience loved the gorgeous scenery of Luberon and the Château la Canorgue, based on their reviews. The Villa and winery, central to the flashback scenes, was a 200 year old working winery and it is still in operation today. 6) P.S. I LOVE YOU (2007, Dublin, Ireland). Directed by Richard LaGravenese, with Hilary Swank, Gerard Butler, Lisa Kudrow, Gina Gershon, James Marsters, Harry Connick Jr., Jeffrey Dean. Some old fashioned letters written by her dead husband, led Holly (Hilary Swank) to Dublin. The best scenes are shot at the beautiful landscapes of Wicklow Mountains, Blessington Lakes, the Sally Gap and the traditional village of Lacken. 7) A ROOM WITH A VIEW (1985, Florence, Italy). Directed by James Ivory, with Helena Bonham Carter, Julian Sands, Maggie Smith, Denholm Elliott, Daniel Day-Lewis, Judi Dench , Simon Callow. The heroine of E.M. Foster’s novel travels from England to Italy. The film shows the best sightseeing of Florence such as the Arno and the Ponte Vecchio, the Basilica of Santa Croce and the Piazza della Signoria. The today’s “Room with a View” belongs to the “Hotel degli Orafi” which is built alongside the Arno. 8) ANNA KARENINA (1997, St Petersburg, Russia). Directed by Bernard Rose, with Sophie Marceau, Sean Bean, Alfred Molina, Mia Kirshner, James Fox. The filming was done entirely in Russia and lasted 6 months. Main filming locations were in St. Petersburg, at several of the palaces of Russian Tsars as well as historic mansions of Russian Nobility. Several minor scenes were filmed in Moscow, Russia. 9) CAPTAIN CORELLI’S MANDOLIN (2001, Cephalonia island, Greece). Directed by John Madden, with Nicolas Cage, Penelope Cruz, John Hurt, Christian Bale, Irene Pappas. The movie is about a love story between a Greek girl and an officer of the Italian army during WWII. The ugliness of the war stands in total contrast to the beauty of the beaches and the picturesque villages of the island. 10) CHOCOLAT (2000, Flavigny-sur-Ozerain, France). Directed by Lasse Hallström, with Juliette Binoche, Johnny Depp , Alfred Molina, Carrie-Anne Moss, Judi Dench. Flavigny-sur-Ozerain sits high on a rock and is listed as one of the most beautiful villages in France and its origin goes back to the eighth century. The Abbey is still present but part of it is used now as a factory producing Anise pastilles, instead of chocolate. According to the reader’s personal opinion, some or all of the above list’s films could be replaced with the followings: LETTERS TO JULIET (2010, Verona, Italy), VICKY CHRISTINA BARCELONA (2008, Barcelona, Spain), UNDER THE TUSCAN SUN (2003, Tuscany Italy), SUMMER LOVERS (1982, Santorini, Greece), LOVE IS ALL YOU NEED (2012, Sorrento, Italy).